Last month, I had the chance to attend my second TechGIRL event — TechGIRL vol. 5 — in Tokyo. TechGIRL is a series of events organised voluntarily by Ms Hiroko Kamata. While the name of the event is “TechGIRL”, participation is open to any gender. It is made up of a series of Lightning Talks and there are ample opportunities for participants to socialize in between these as well as after the event. 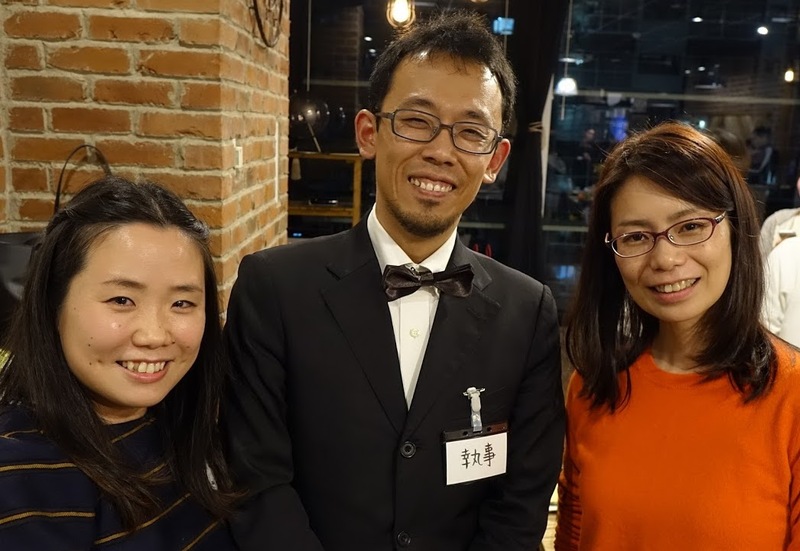 Read my Q&A with Hiroko about how the event started and tips on how others can organize similar events. A very casual and amusing talk on choosing a bag that is stylish but also convenient for work. It’s touches like this that make this event really relaxing and fun, and indirectly encourage speakers to share jokes and funny anecdotes. Each event has a “cheering song” to give speakers inspiration on what to talk about. Hiroko intentionally does not call them “themes”, so as not to restrict what speakers can talk about. A memorable example of the way presenters can interpret a cheering song was a presentation that one woman gave at the 2nd TechGIRL event (see cheer song below), during which she shared her experience of casually wearing a Kimono (a traditional Japanese dress) to work — an unusual practice today, particularly for those who have a choice on what they’d like to wear. Volume 2 How do we shape a way of life, free from constraints? Volume 3 My challenges, basically Google searching to learn but so what? Volume 5 Go for many experiences (one participant captured the key topics and speakers at the recent meeting in the following tweeted illustrations). Hiroko has also designed a cat mascot for the event (the banner image of this article). It is a style call Heta-Uma, which is intentionally not drawn well so as to make it friendly and emotionally attachable. This is probably a very Japanese thing (and may be hard to convey) but again it gives the event a relaxing, friendly touch. Most speakers and participants were from higher network layers, such as programming, and app and content development, so I had the opportunity to meet many people I don’t normally meet at conferences that I regularly attend (those that deal more with the network layer). During and after the events, participants freely share contents using Social Media. Volunteers also share the responsibility at each meeting to compile Tweets on an application called “togetter” (read previous togetter compilations for meetings 1, 2, 3, 4 and 5). Overall, I found this event had a welcoming atmosphere where women were able to enjoy themselves, network and get inspiration from other participants without discussing gender issues directly. Izumi Okutani is the Policy Liaison at the Japan Network Information Centre and a member of the APNIC Executive Council.